Sometimes our biggest victories can come in defeat. Just ask David Artuso. 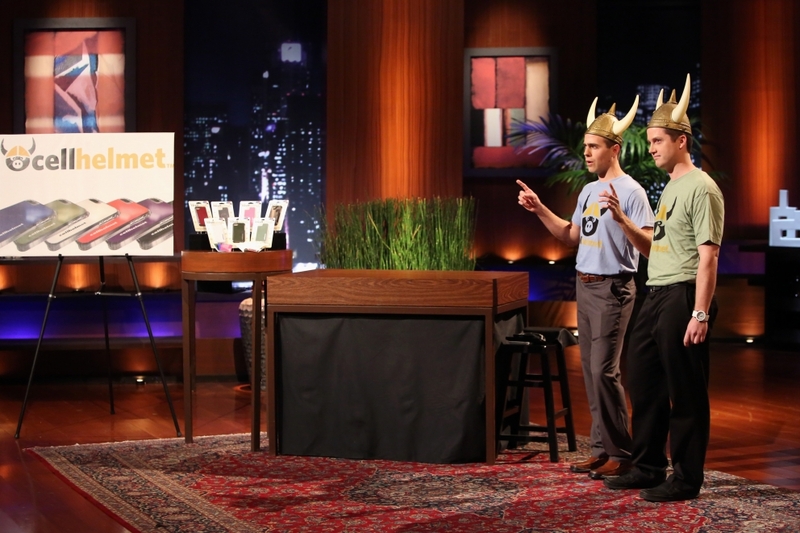 In March 2013, the 2011 Penn State Behrend alumnus attempted to impress investors, including Dallas Mavericks owner Mark Cuban, on ABC’s Shark Tank by pitching cellhelmet, a cell-phone case company he started in 2011 with two friends. The company was founded with the goal of offering cell-phone users a new, sleek case that comes with a guarantee: if the phone breaks in the case, the company will replace everything for $50. Cuban and the other investors on Shark Tank decided against investing in cellhelmet as they felt competitors would be able to undercut the company’s pricing, but the entire experience can hardly be considered a loss for Artuso and his partners. After the show was filmed, cellhelmet reached a deal with Eldridge Communications, a Pittsburgh-based Verizon Wireless retailer, to place cases in their stores. The agreement was a win-win for all parties, but it also had a significant impact on how cellhelmet would later reevaluate its business strategy. Repairs have always been part of what cellhelmet does, but it had never been the focus. However, that changed thanks to the partnership with Eldridge Communications. cellhelmet began to fix phones for Eldridge Communications, which would then sell them as refurbished phones. Since then, cellhelmet has focused its efforts on repairs, and the results have been very positive. cellhelmet repairs phones and tablets for a handful of companies and offers public repairs via mail order on its website. Customers can also visit the company’s headquarters in Wexford, Pa., for a walk-in discount. cellhelmet has big plans for the future. Artuso says the company would like to open a few retail locations in the next year that will focus on repairs, and the ultimate goal is to franchise the business model. cellhelmet will continue to sell its small, compact cases for which the company is named, but the focus has definitely changed. Artuso says there are no plans to manufacture new cases in the near future because of the high costs involved. The company recently doubled in size to eight employees in November, and there are plans to hire more as well. No, Artuso may not have been a “winner” ten months ago when he appeared on Shark Tank, but it’s clear he’s winning now. So, would he go back and do it all again? “Oh, yeah. Drop of a hat,” Artuso says. This entry was posted in Alumni stories, Student News and tagged ABC, Behrend, cellhelmet, David Artuso, Eldridge Communications, game shows, Penn State Behrend, Shark Tank. Bookmark the permalink.